Did you know I'm a little bit scared of hairdressers? I know it sounds silly, but I have really unruly hair and after a couple of bad haircuts, I just let it grow, so there would be no surprises.This went on for several years, enjoying the savings I made on scarves and earmuffs as it got longer and longer, until... it all went a bit wrong. I started *gulp* AGING!! Gigantic white hairs started snaking their way through my very, very dark layers, like neon springs of impending doom. I knew the time was near. Another thing I was sure of was that I was NOT investing in enough hair dye to colour that great mop, so, it was time for the chop!! It turns out that people need hair. Specifically, human hair. I'm all for recycling and this opportunity was no exception. 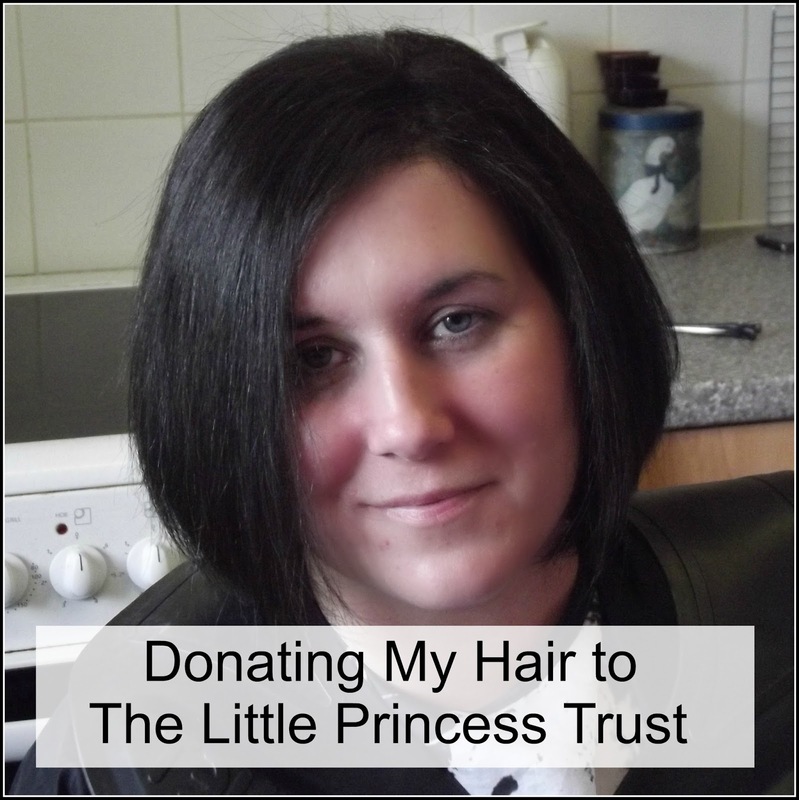 A charity called The Little Princess Trust can take your unwanted hair and turn it into a realistic wig for a child suffering from cancer. This is such an amazing concept. Imagine how horrendous cancer treatment must be for a young person? What they must fear? Pain? Sickness? The unknown? Then, on top of all that, they must face losing their hair. The part of us that makes us who we are. Frames us, defines us, gives us our identity. 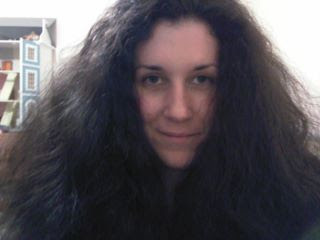 Fortunately, I had a lot of hair to spare. Children can be so self conscious, trying to fit in and find their place in the world, it can be a stressful time. So this fantastic idea provides an opportunity for children suffering from hair loss to be the same as their friends in one small way. Artificial hair wigs are made from nylon, which is hot and itchy. An adult friend of mine who wore one during her chemotherapy likened it to having a big woolly hat that you just can't take off. So this charity does vital work in providing something more suitable for child patients. 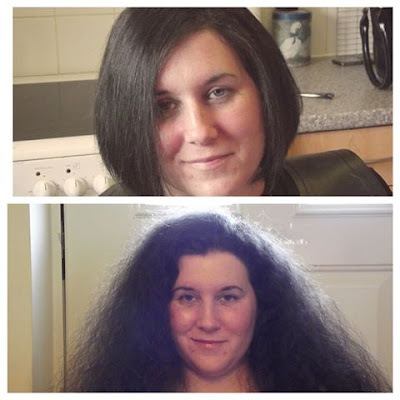 Now, I was extremely lucky, because a lovely lady called Natascha Lehser, who owns the brilliant Alnaki Hair Design and Bridal Specialist in Bristol, offered to cut my hair for free, so that I could give it to the charity! I'm so grateful to her, she was really patient and helpful, with lots of suggestions for new styles. It turned out to be fun, and nowhere near as scary as I thought it would be! It certainly helped to know that a young person may benefit from my 20 inch plaits, anyway. I think it turned out pretty well in the end, as this pretty clever (for me, anyway!) before and after photo shows! 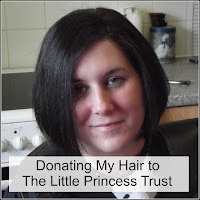 I am exceptionally grateful to Natascha for helping me realise my dream and I would really encourage anyone who's afraid to let go of their hair to consider donating it to The Little Princess Trust. It's such a worthwhile cause and, who knows, you may end up really liking the result! o wow! I didn't know there was a charity that did that, well done you to take such a dramatic step for a good cause - from Tracey Beaker to Lucy Sleeker!